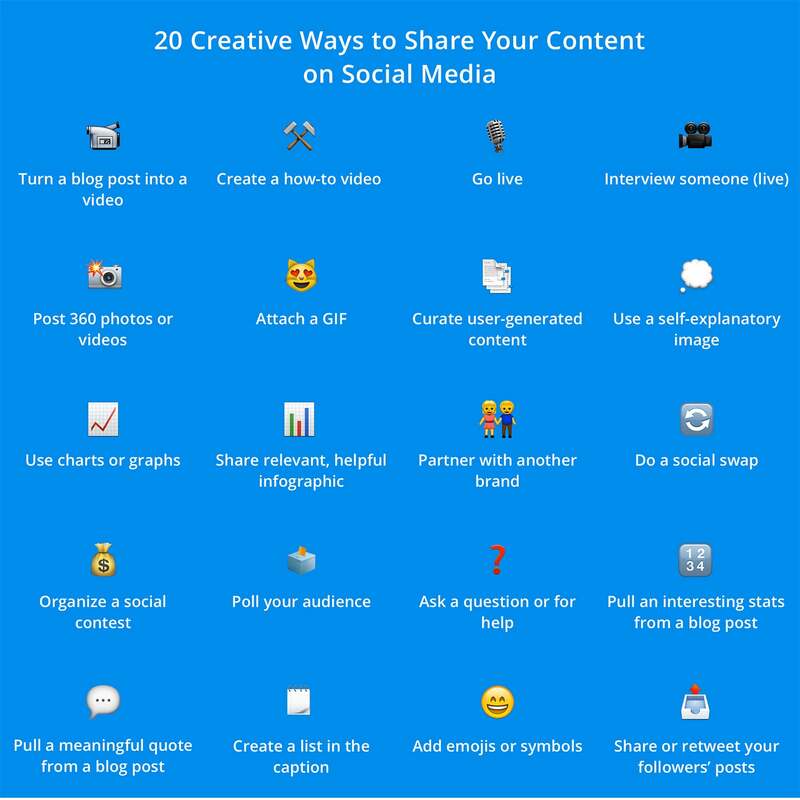 Thinking About : Using a Third-Party Social Media Tool for Your Content? Read This First. 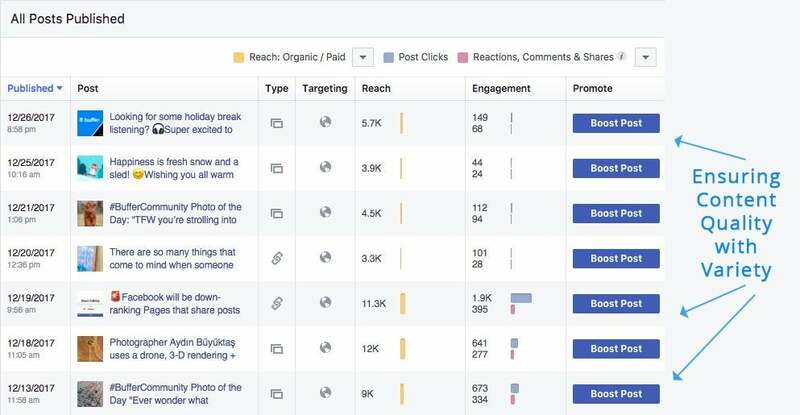 Putting your trust as a marketer or brand in third-party social media tools to manage all of your posts can be a bit scary. Are my posts getting optimal reach and engagement? Do social media platforms penalize third-party tools? Are third-party tools really worth the cost? These are some of the most common questions our customer advocates receive on a daily basis. 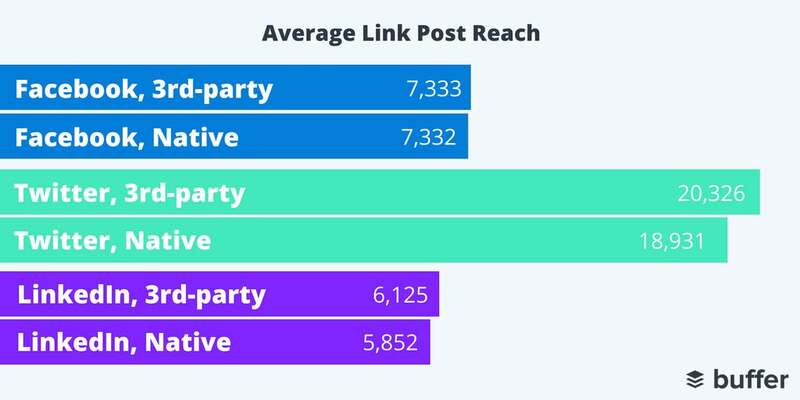 And up until this research, we haven’t had any concrete data to say “yes” or “no” to whether or not third-party tools affect the reach and engagement of posts. We’re hoping to change that. For an entire month, with the help of several awesome marketers and brands, we tested more than 200 posts across 35 profiles to see exactly how third-party social media tools stack up against native posting. We’re excited to share the experiment setup and results in their entirety. We’d love to share a quick summary of what we found (you can find the full results and more on how we ran the experiment below). Read on to check out all of the details. Our tests ran from November 27, 2017 to December 19, 2017. Our biggest concern with an experiment like this is that our results would be biased if we only tested Buffer content with the Buffer tool. We knew it would take multiple marketers and tools to make the data meaningful. First, we signed up for test accounts with Hootsuite and CoSchedule. 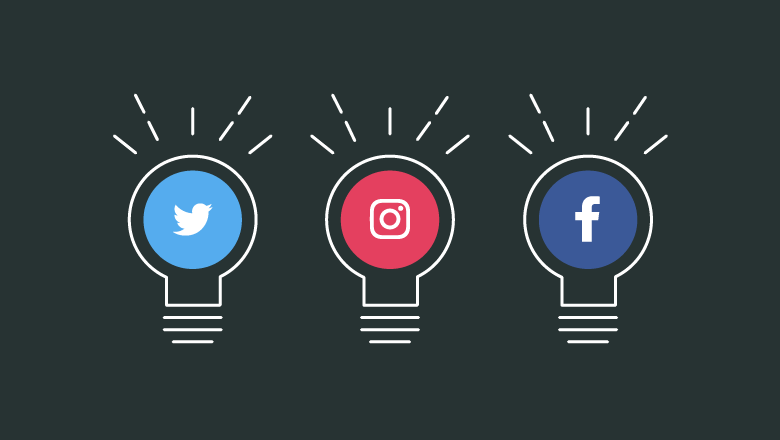 This would allow us to test three different third-party social media tools to reduce the chance of a particular tool playing a factor in reach and engagement. 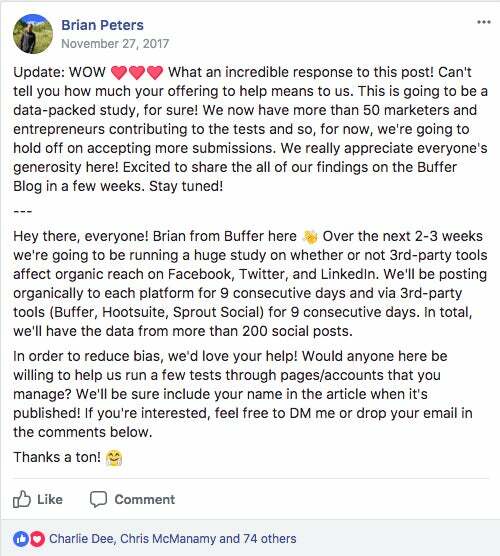 Then, we turned to the Social Media Masterminds Facebook Group and asked if any marketers would be up for helping us run a few tests. The response was incredible. Judging by the number of comments and overall enthusiasm for this experiment, we knew we were onto something. 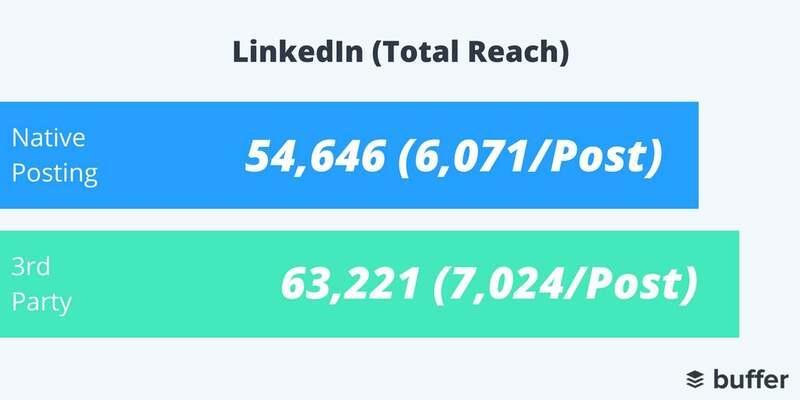 In the end, we received data from 11 different brands, totaling more than 98 posts across Facebook, LinkedIn and Twitter. Factoring in these results to the overall findings greatly helped to reduce any biased data. Now we just had to figure out how we would approach content. Content presented a unique challenge in that we had to be strategic about what we posted and when we posted it. 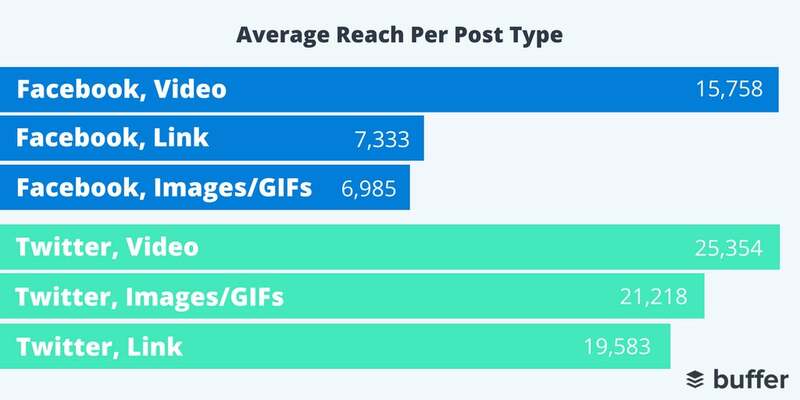 As many marketers know, posting the same content multiple times in a short period of time might result in a decrease of reach and engagement with each post. We ultimately decided that we would not post the same content multiple times. Rather, we would post three different types of content (links, images, videos) and do our very best to ensure that each piece of content was super high-quality. But what we realized is that, at the end of the day, it’s nearly impossible to create truly equal content -- some posts will inevitably perform better than others based on a hundreds of different algorithm factors. The final factor that we focused on for this experiment was to ensure that we were posting consistently. Both timing and frequency impact social media results and so we did our best to post at roughly the same time and frequency each day. Facebook: Posted once per day between 6:00 a.m. & 12:00 p.m. PST. Twitter: Posted 3-5 times per day between 5:00 a.m. & 10:00 p.m. PST. LinkedIn: Posted once per day between 6:00 a.m. & 12:00 p.m. PST. Posting natively proved to be the most difficult part of this experiment. We found that without third-party social media tools we were having to set reminders in our calendar in order to post at the correct times. Multiplying that by eight posts per day and three social media accounts, we did end up missing a few posts here and there which prolonged the study. Last, but not least, it might be helpful to provide the Buffer audience sizes on each network. Now for the fun part! 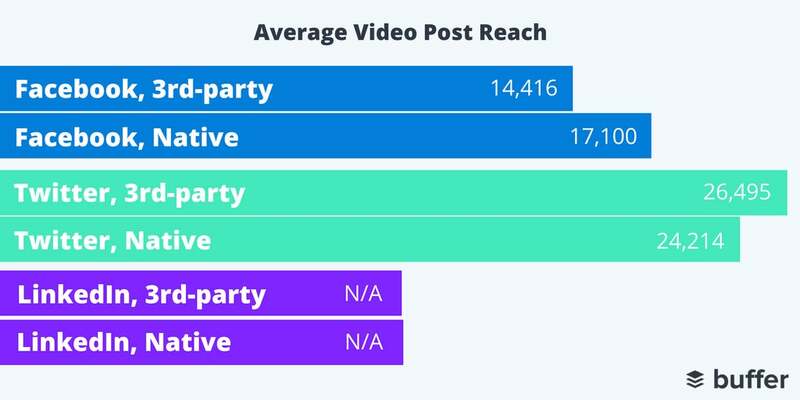 Do third-party tools negatively affect reach and engagement on social media? 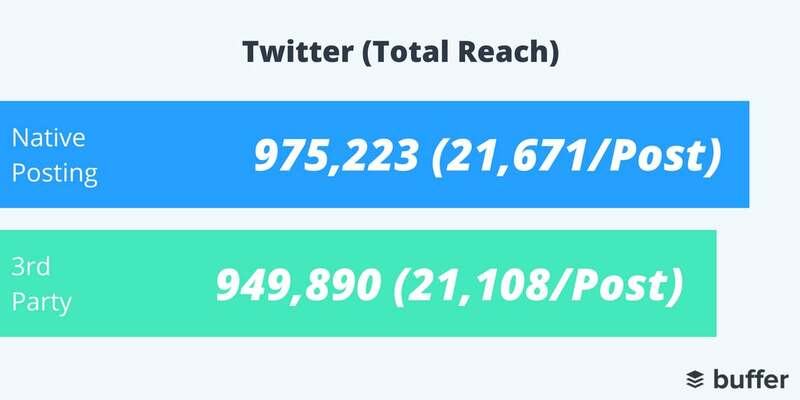 We did not find a significant difference in social media reach and engagement whether we posted through third-party tools or natively to each network. As you might expect, some pieces of content performed better than others no matter how they were posted. 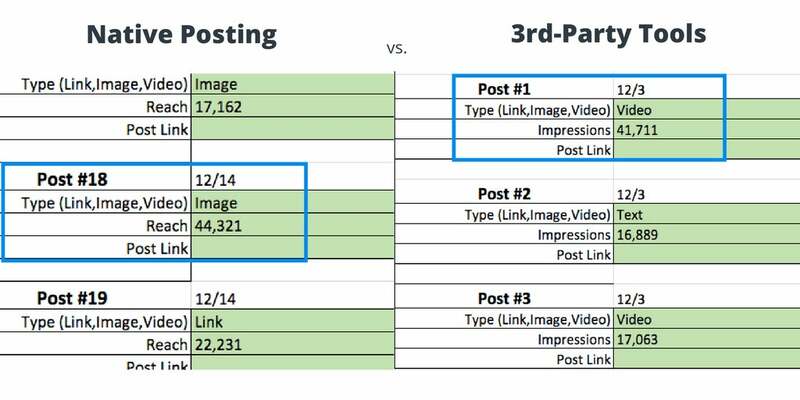 First, let’s take a look at the main component of our experiment -- how third-party tools performed vs. native posting in regards to reach/impressions on each social media network. 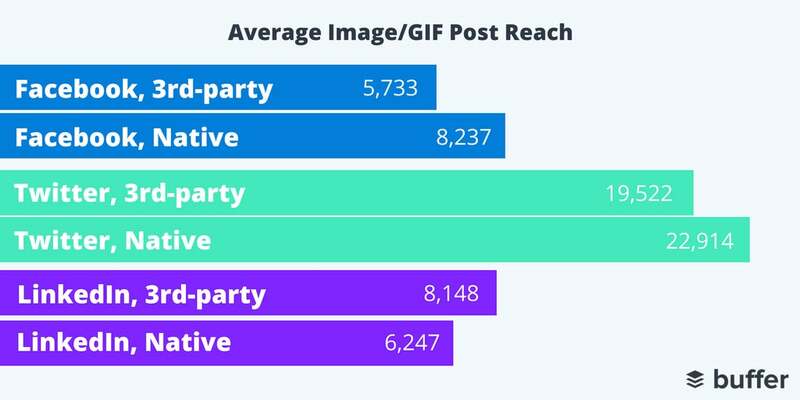 Next, we thought it would be useful to break down how each post type (links, images/GIFS, videos) performed with both third-party social media tools and native posting. It’s interesting to note that in all cases there was no clear winner between third-party social media tools and native posting. Each performed better seemingly at random -- making their performance more or less even across the board. Which leads us to the three major takeaways that we got from this experiment. This experiment was an eye-opening one, to say the least. It gave us a great perspective on the current state of social media reach and engagement while also reminding us how much time and effort goes into creating great content. We’re excited to share the three biggest takeaways we learned in the process. 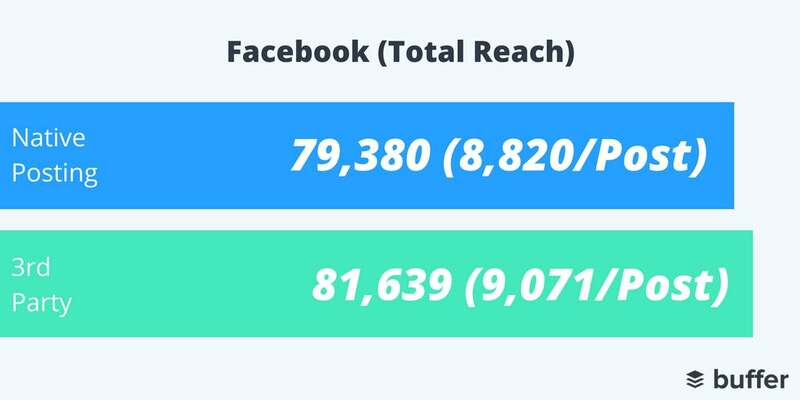 The number one takeaway that we got out of this experiment is that content is the most important factor that determines social media posting success. It matters more than timing and frequency. And it matters more than whether or not we posted natively to each network or through a third-party social media tool. In examining the data, there were times when a piece of content “went viral” when posted natively and there were times when content “went viral” when posted through a third-party tool. We’ve had the pleasure of running multiple experiments over the past year and it always comes down to the same thing: content. For example, simply reducing our posting frequency and focusing on only creating content that we knew our audience would love, we were able to increase our Facebook organic reach by more than 330 percent in 2017. We’ve talked about the importance of video marketing lots here on the blog in the past – we even mentioned the video trend in a recent episode of the Buffer Podcast. Now we’re excited to say that we have our very own data to back it up! LinkedIn doesn’t currently offer native video posting for brands and so we weren’t able to test the data from that network. But rumor has it that they’ll be opening up native video posting for brands sometime in 2018 (yes!). Whether networks are prioritizing videos in their algorithms or people truly do enjoy interacting with video over other types of posts, we can expect to see a lot more of them in the coming year. Folks that work and are successful in the social media industry know that it can take lots of time and effort to create amazing content and grow accounts. That’s why we’re huge fans of anything that can make our jobs that much easier -- extensions, hacks, tools, you name it! Planning, uploading and posting to social media natively turned out to be a major challenge for us. We often found ourselves forgetting to upload a Tweet or Facebook post at a certain time. And quite ironically, when posting natively, we ended up using Buffer to “store” all of our content so that we could quickly copy and paste the image and caption to each social network. We’re not sure what we would have done without that over the course of the three weeks. For us, utilizing a social media tool like Buffer, Hootsuite, CoSchedule (or any of the other great tools out there) is how we’re able to ship great content consistently and on time.